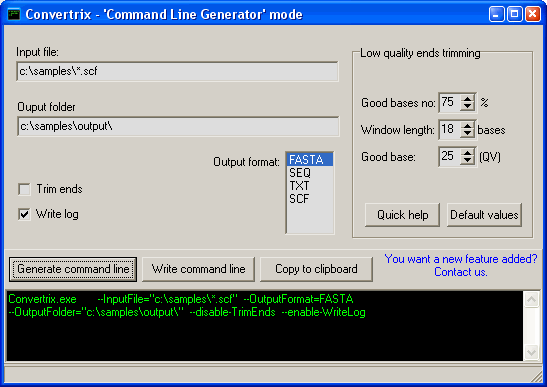 Convertrix is a molecular biology command line tool for converting between several popular DNA sample formats. It can automatically trim the untrusted regions (low quality bases) at the end of samples. If you need more information please contact the developers of Convertrix (Heracle BioSoft SRL), or check out their product website.